The death toll of Hurricane Maria in Puerto Rico is much higher than previously expected. Gaby Acevedo reports. Nearly 3,000 people in Puerto Rico died in the six months after Hurricane Maria hit the island last September, far more than the official death toll of 64 given by the island's government, according to an independent report released Tuesday. The findings from the long-awaited study commissioned by the U.S. territory's government estimated 2,975 excess deaths, more than both the official death toll and the government's previous interim estimate of 1,400, with the elderly and impoverished most affected. Researchers with The Milken Institute School of Public Health at George Washington University said the official death count from the Category 4 storm that hit on Sept. 20 was low in part because physicians were not trained on how to certify deaths after a disaster. There was a 22 percent overall increase in the number of deaths from September 2017 to February 2018 compared to the same time period in previous years, Lynn Goldman, dean of the institute, told reporters. "We are hopeful that the government will accept this as an official death toll," she said. Gov. Ricardo Rossello said Tuesday that he is raising Puerto Rico's official hurricane death toll from 64 to 2,975 in response to the study. He said he will also create a commission to implement recommendations in the new report and create a registry of the people expected to be most vulnerable in a future storm, such as the elderly, bedridden or kidney-dialysis patients. 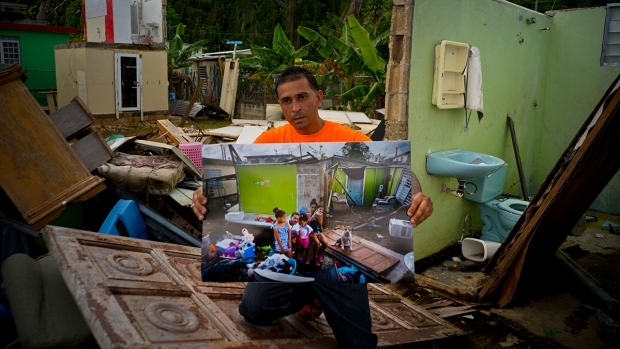 Hurricane Maria, followed by Hurricane Irma two weeks later, knocked out power and water to the island and caused widespread flooding that left many sick and elderly people unable to get medical treatment. In the weeks after the storm, Puerto Rican officials said the storm directly caused 64 deaths, many in landslides or flooding. But they had long acknowledged that many more people may have died due to indirect effects of the powerful storm. A Harvard University study published in May estimated that more than 4,600 people might have died in the hurricane's aftermath, although some independent experts questioned the methodology and the numbers in that study. Still, previous studies have found the number of direct and indirect hurricane-related deaths is higher than the official toll, including a 2017 report that said there were nearly 500 more deaths than usual on the island in September. Under pressure and facing several lawsuits, Puerto Rico's health department released updated data showing there were 1,427 more deaths from September to December 2017 than the average for the same time period over the previous four years. Additionally, September and October had the highest number of deaths of any months since at least 2013. The statistics, released a few weeks after the Harvard study, did not indicate whether the storm and its aftermath contributed to the additional deaths. The George Washington University study released Tuesday noted that mortality in Puerto Rico had been slowly decreasing since 2010 but spiked after the hurricane. 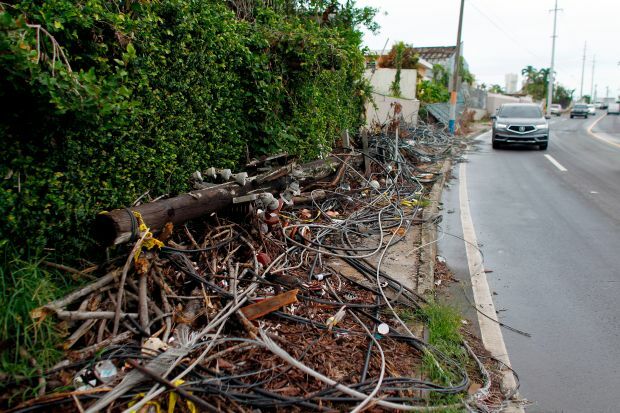 About 40 percent of Puerto Rico's 78 municipalities saw a significantly higher number of deaths in the six months after the storm compared with the previous two years, researchers said. These municipalities were located mostly in the island's northeast and southwest regions. Researchers found that the risk of death was 45 percent higher for those living in impoverished communities and that men older than 65 saw a continuous elevated risk of death. They also found that physicians and others told them that Puerto Rico's government did not notify them about federal guidelines on how to document deaths related to a major disaster. Puerto Rican officials have said the territory's government would not raise its official death toll until the George Washington University study of the data was completed. The issue was clouded by the fact that the federal government and U.S. states and territories have no uniform definition of what constitutes a storm-related death. The National Hurricane Center counts only deaths directly caused by a storm, like a person killed by a falling tree. It does not count indirect deaths, like someone whose medical equipment fails in a blackout. "The results of our epidemiological study suggest that, tragically, Hurricane Maria led to a large number of excess deaths throughout the island. Certain groups – those in lower income areas and the elderly – faced the highest risk,” said Dr. Carlos Santos-Burgoa, a principal investigator for the project and professor of global health at GW Milken Institute SPH. "We hope this report and its recommendations will help build the island’s resilience and pave the way toward a plan that will protect all sectors of society in times of natural disasters."